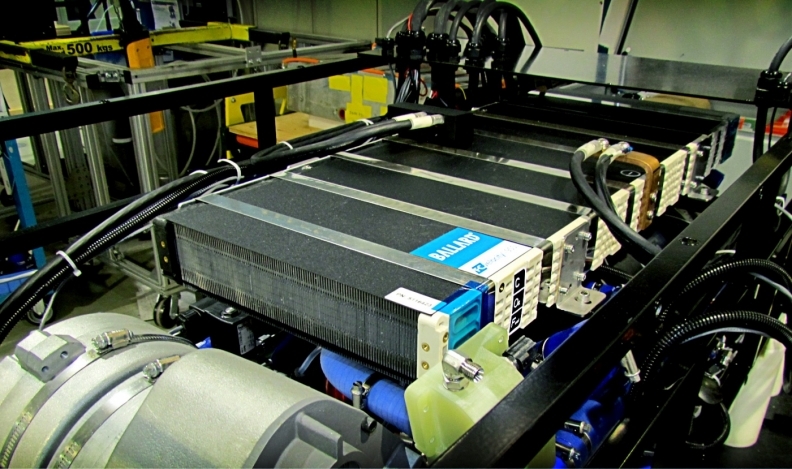 Canadian fuel cell maker Ballard Power Systems says it’s better positioned to obtain more automotive business after third-quarter revenue increased 54 per cent from a year earlier to $31.9 million. The company reported its results in U.S. dollars. The Burnaby, B.C., company’s net loss narrowed to $1 million from $3.2 million a year earlier. Ballard posted adjusted earnings before interest, taxes, depreciation and amortization of $900,000 in the third quarter, swinging from an adjusted EBITDA loss of $1.5 million a year earlier. The improvement was primarily driven by higher revenue and higher gross margin, the company said. Ballard has never shown a net profit since its founding 38 years ago. But it has spent this year inking deals and letters of intent with a number of companies, including China’s Zhongshan Broad Ocean Motor Co., Belgian bus builder Van Tool NV and the Kenworth Truck Co.
Ballard says it had an order backlog worth $236.8 million from customers that have made contractual commitments as of Sept. 30. Announced the opening of a fuel cell stack joint venture operation in China.